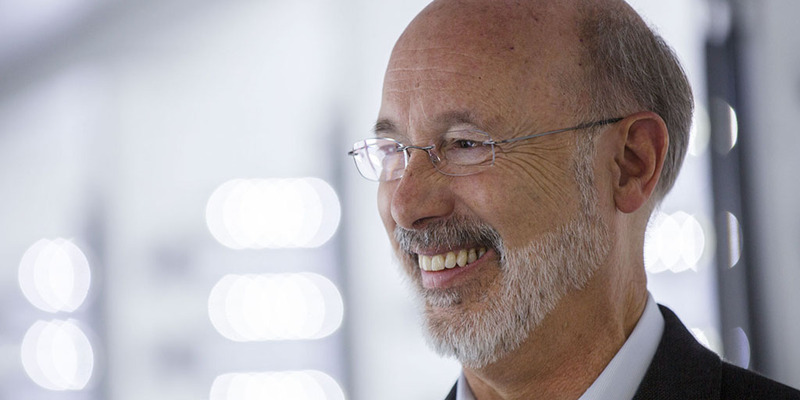 Harrisburg, PA – Today, Governor Tom Wolf announced the approval of $6 million to support a community revitalization and economic development project in York County known as The York Plan 2.0 Innovation District in the northwest corner of the city, part of a larger project to revitalize this area into a manufacturing, technology, history, arts and education district. “Today we are honoring York’s past by preparing for York’s future and I am pleased to announce that this project will receive the funding to help revitalize not only York City, but York County, to connect again around our historic manufacturing heritage,” Governor Wolf said. Supported through the Redevelopment Assistance Capital Program (RACP) program, funding will be used to renovate structures that will house American-made robotic device development and assembly, prototype design workshops, and office and lab space. The governor was joined by York Mayor Michael Helfrich, and John McElligott, CEO, The Fortress Initiative, and of York Exponential, the group spearheading the York Plan 2.0, for the announcement. “I have worked hard to ensure that when state government is investing in our local communities, we are directing our resources towards projects that improve the lives of our citizens, our students, and our seniors,” Gov. Wolf said. “And I have worked to make sure that we are using our resources to bring the greatest bang for the buck for our private businesses, who in turn provide jobs and opportunities for our citizens.